Emily Jacobs is trying to start her life anew. The only problem is… she is unsure what she is trying to start over from. Living on a small deserted island in Maine, she is taking things day by day, until her world is quickly turned upside down and she suddenly finds herself being pursued. So many people begin finding her and telling her to trust them, telling her that her name is not Emily, but Audra, telling her that she is the descendant of a serial killer, and telling her that she has abilities thanks to her ancestor. Confused and overwhelmed, Emily turned Audra finds herself having to face against a secret society that is set on killing her and all of the progeny of her ancestor. Time is ticking and she must discover who she truly is before it is too late to save them all. 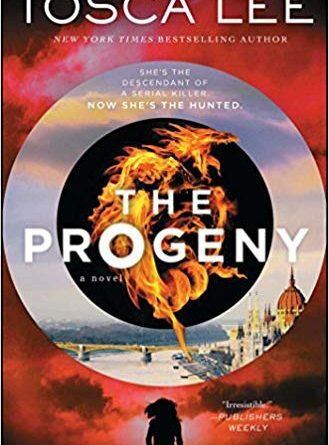 Upon reading the first couple of chapters in The Progeny, a reader may assume, “Another story where a girl has lost her memory, is chased by people she doesn’t remember yet they remember her, and she holds the key to solving a huge conspiracy and saving everyone.” However, do not jump to conclusions, dear reader, for the first in Tosca Lee’s Descendants of the House of Bathory Series is far from being cliché and focuses on a historical aspect not normally touched upon. Lee has a talent for telling an enticing story that moves at a quick pace and most certainly keeps readers guessing throughout its plot. Readers may assume one thing is happening, then be surprised a chapter or two later when something completely different happens. This is a wonderful talent that keeps readers turning pages. There are times when the writing style is too quick and needs a bit more detail because it may leave readers feeling confused as to what is currently happening in the story. However, this also ties into the story rather well, for the point of view is from Audra and it almost makes readers learn everything she has forgotten along with her. What is most surprising and actually a breath of fresh air in The Progeny is the fact that she does not have a “remembering” moment. Readers are all too familiar that in stories where a character loses their memory, that character will regain it either about three quarters of the way through the book or at the very end. Lee takes readers through The Progeny and leaves them on the last page going, “Wait, she still doesn’t remember?” That is not a spoiler, but rather an excellent surprise to throw at readers, for what they are expecting, they do not receive. Bravo, Lee. Lee has more fascinating elements that readers do not expect from a historical mystery suspense fiction. The first is the element of hope. This is a message many people seem to brush aside nowadays, but without hope, what else is there? Hope keeps people going during tough times and Audra most certainly needs hope to get through her tough time. But aside from needing hope of her own, she also IS hope. She is even told by one of the characters that she is hope to the Progeny to break the generational curse placed upon them (Lee 90). Another element is the fact that Lee throws a small dose of magic into her story. Not necessarily witches, dragons, boiling cauldrons, any of that, but rather an ability passed down from her ancestor. Almost like a mini-superpower, but almost more realistic sounding. Let’s call it the power of persuasion where Progeny are able to persuade people to do what they want them to do. And one of the final more interesting, yet also somewhat vague elements of the book is the procedure Audra endures. Her surgery makes her forget a certain part of her life completely. How is this possible? Granted, an author does not have to delve too deep into stuff like this and it is a good concept, it just leaves the readers a bit stumped and wanting to know how this kind of surgery could work. Now it is time to focus on that aforementioned historical aspect. Audra is the descendant of an infamous serial killer, but rather than being a descendant of an iconic killer such as Jack the Ripper or Adolph Hitler, Lee thought out of the box and chose a killer that is not as well-known as others and who has not been written about as often: Elizabeth Bathory. Elizabeth, or “the Blood Countess,” was known for torturing and killing well over 600 girls in the early 1600s. A rather grim ancestor for the heroine in The Progeny to be related to. However, it seems a lot of mystery surrounds this killer and Lee has put her own modern and slightly fantastical twist to solve it. 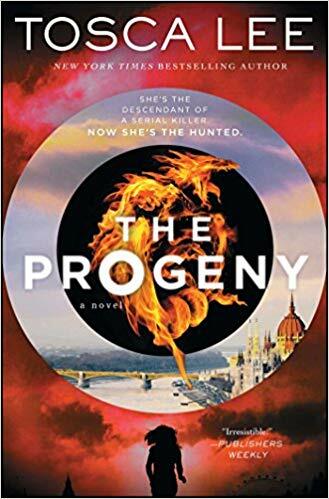 The Progeny proves to be an all-around fast paced and enticing read for fans of historical fiction and/or mystery and suspense. Lee has many fascinating elements that really give depth to her story and her main character while also avoiding the cliché route of characters losing their memories. The historical figure is one not normally touched upon which gives readers an inside look into someone completely new from the past. Readers only learn as much about “the Blood Countess” as Audra does throughout the book, but the next book Firstborn holds even more historical information about her. Not to mention the unforeseeable twist at the end will most definitely make readers want to read Firstborn as soon as possible.